The Aviation Digital Data Service (ADDS) makes available to the aviation community text, digital and graphical forecasts, analyses, and observations of aviation-related weather variables. 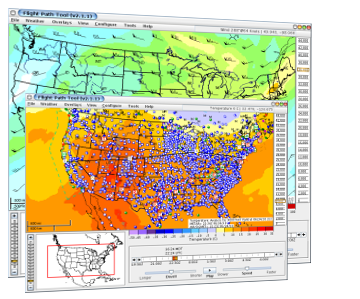 ADDS was developed as a joint effort of NCAR Research Applications Program (RAP), Global Systems Division (GSD) of NOAA's Earth System Research Laboratory (ESRL), and the National Centers for Environmental Prediction (NCEP) Aviation Weather Center (AWC). ADDS is currently maintained at AWC and is funded through the FAA Aviation Weather Research Program (AWRP).